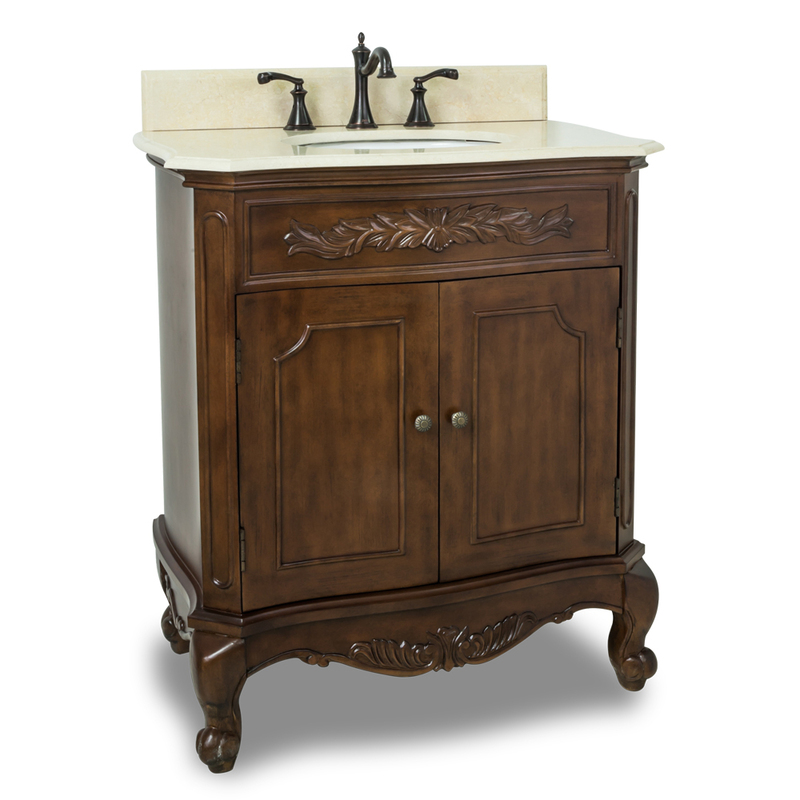 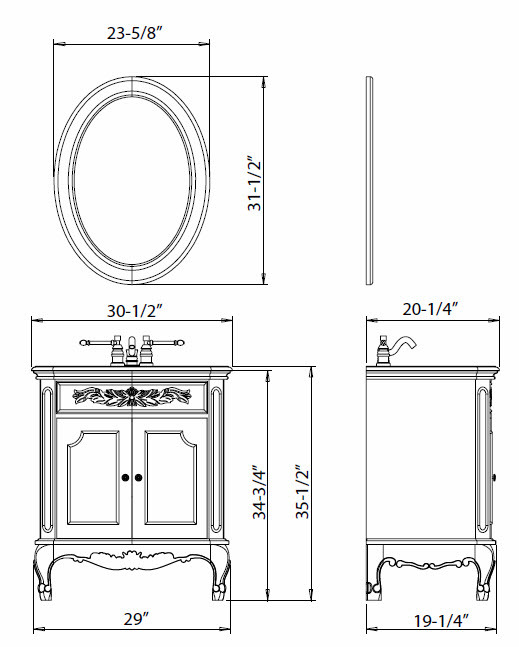 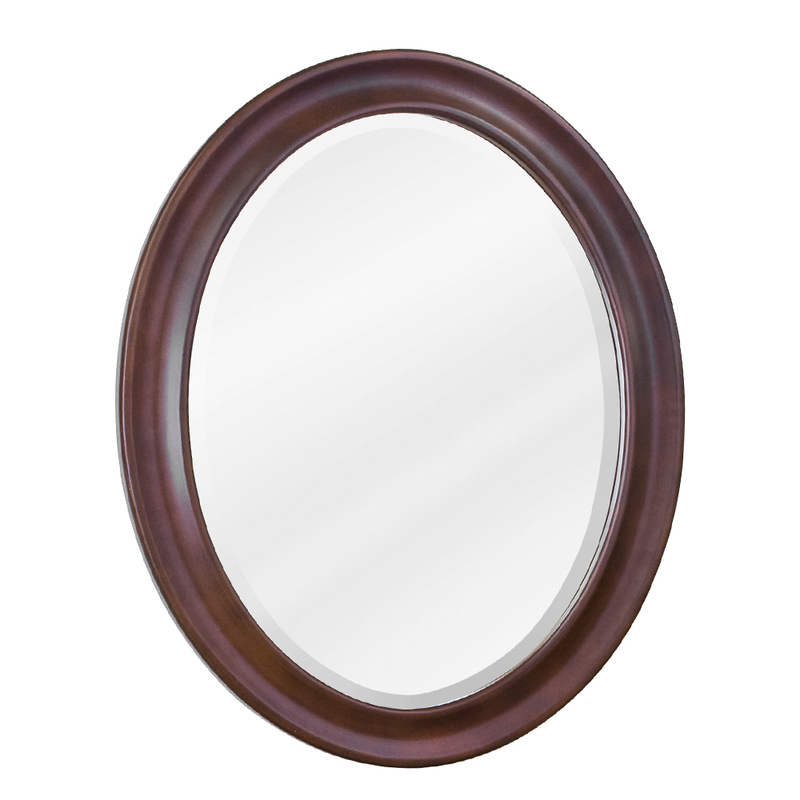 The 30.5" Pacifica Single Bath Vanity combines the beautiful warmth of a Nutmeg finish with floral carvings along the top and bottom of the vanity to give you a truly timeless and traditional vanity. 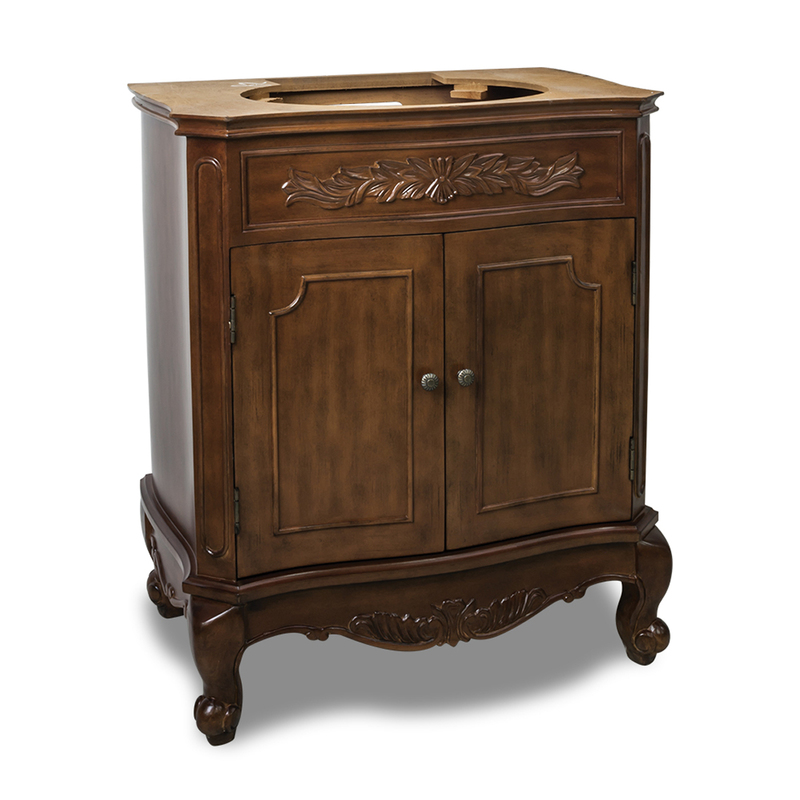 Scrolled legs lift the vanity off the floor, making it easy to access the double-door cabinet that offers plenty of storage space. 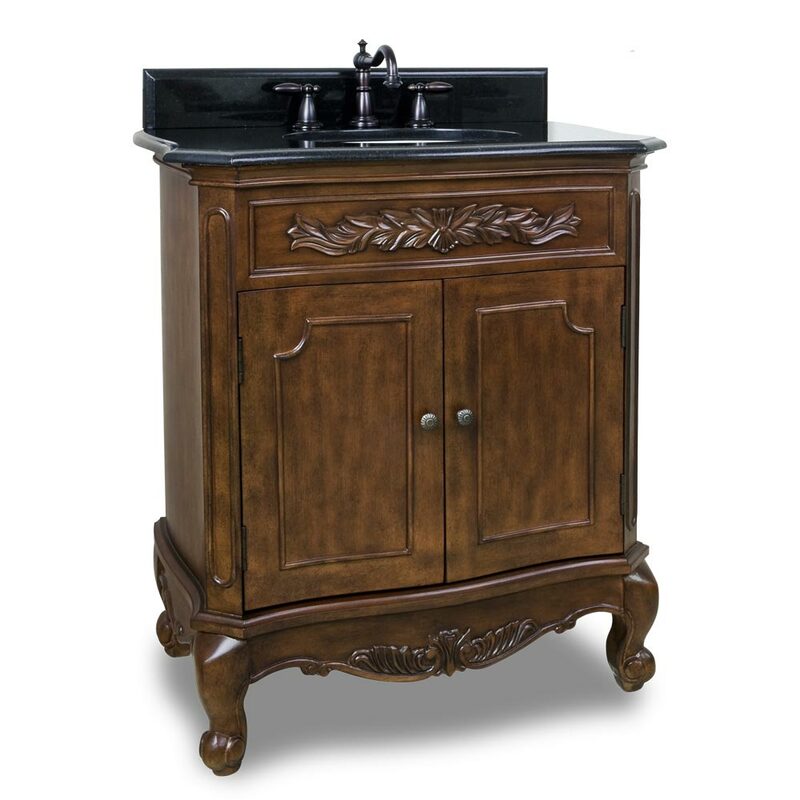 The warm Nutmeg finish is accompanied with a Black Granite top that's been pre-drilled with three faucet holes and installed with a ceramic undermount sink.